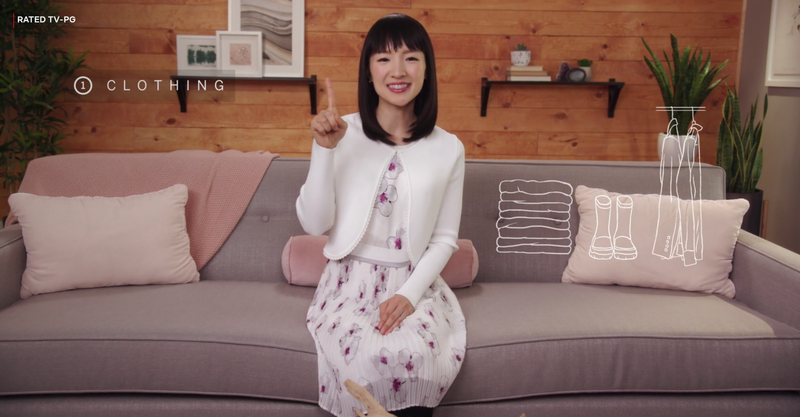 I spent my time during the weekend watching with my wife an ongoing popular series on Netflix called Tidying Up with Marie Kondo. We barely watched only the first episode but it has already brought a change impact in us. 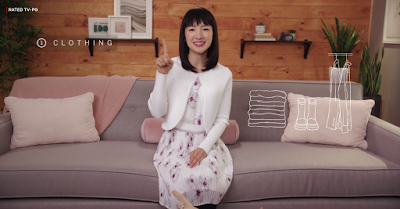 In the first episode, KonMarie talked about why we should spend time tidying up our home, a precious place in our hearts that we spent many countless hours on every single day. She came to visit a couple who's living in the California area, and had two young children at home with them which makes it more challenging in the aspect of tidying up. We can relate well to the family because our circumstances are very alike in the sense that we bought many things for our children that space becomes a crunch in a span of a few months. 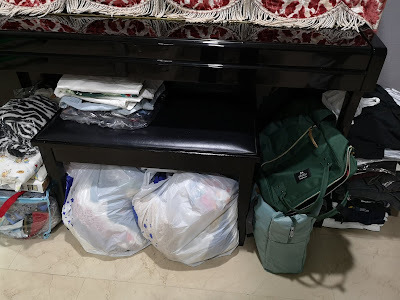 We suffered the same like what was described in the episode as a desire to long for more than what we need to which gives a vicious cycle to keep buying for more stuff, and in turn filled the space of the house even more. KonMarie started the tidying up process with the clothing in the wardrobe. She subsequently challenged the conscious mind of the couple by asking how many of these clothes do they really need and use. She uses a method what she described as having a sparking joy. When we feel and touch these clothes, one layer at a time, we should ideally feel a sense of belonging and happiness which indicates a desire to keep these clothes. If the clothes bring no joy, it should be discarded or donated away. The last thing she wants is for someone to keep piling up the drawer with clothes that they have no attachment to. After tidying up the wardrobe, she would then move to other sections of the house, such as the kitchen and garage. What strikes me the most from this simple episode was when she mentioned how much sentimental things we have kept in the garage that we don't see on the day to day and yet we chose to keep stuff that aren't important yet strikingly visible to fill up the space. For example, sentimental things such as wedding or childhood photos should not be kept in a garage because the occurrence of seeing them is much lesser on a day to day basis. They should be out in the living room or somewhere accessible so one can retrieve them quickly and remind what is the real important to them. I like this episode because it speaks about the modern minimalism which has consciously shape our minds to become better yet more simplistic in nature. It tells us that strength and happiness comes in the form of not needing more but less and in that process of refining our balances, we can actually derive the same joy as we have been when we were spending on things that we think are necessary but is actually not. We get started on decluttering on our things immediately.